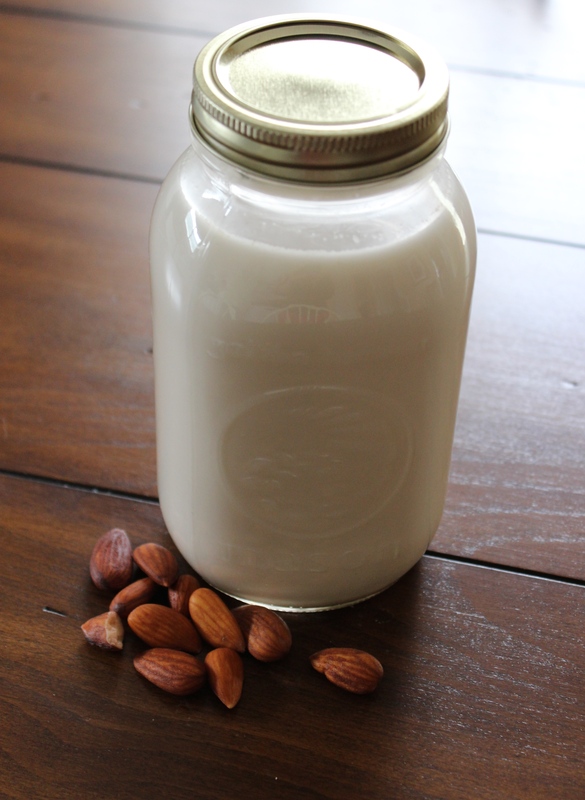 This morning I made a fresh batch of homemade almond milk, a very simple recipe that I’d like to share today. If you’ve never made almond milk from home, you’ll find it’s easy to do and tastes quite a lot different – and fresher – than store-bought! 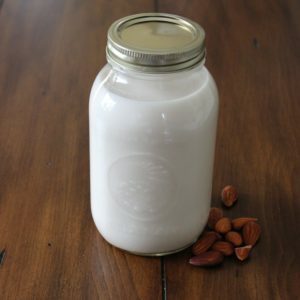 For the longest time I would use store-bought almond milk until I made it for the first time and realized how incredible easy and quick it is. It also tastes so much better; I find store-bought almond milk has a stronger flavour, whereas homemade almond milk has a much lighter, neutral, real taste. Almond milk is a great alternative to regular cow’s milk. It’s easy to digest, and rich in magnesium. Those are the only ingredients you will need! Simple as can be. 1. Soak almonds in a bowl for about 12 hours, or overnight. (Soaking nuts releases what are known as “enzyme inhibitors”, and allows for optimal digestion). Strain water. 2. Add soaked almonds and water to blender and blend on high speed for 20 seconds. 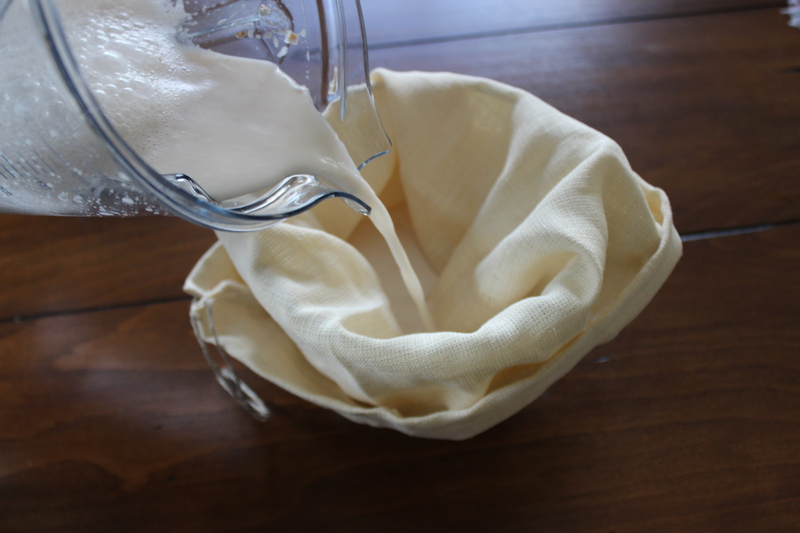 Wrap a nut milk bag, cheese cloth or kitchen towel over medium sized bowl and pour mixture through. 3. Tighten bag and squeeze the milk out, and that’s it! You’ll be left with pulp in the bag which you can compost or use in many baking recipes. This recipe fills one 1L mason jar. Store for up to 5 days. You can use the leftover almond pulp in any of your favourite smoothies or baking recipes.This recipe can easily be made into a sweet vanilla or chocolate almond milk. A simple almond milk recipe with soaked almonds and water, blended to perfection. 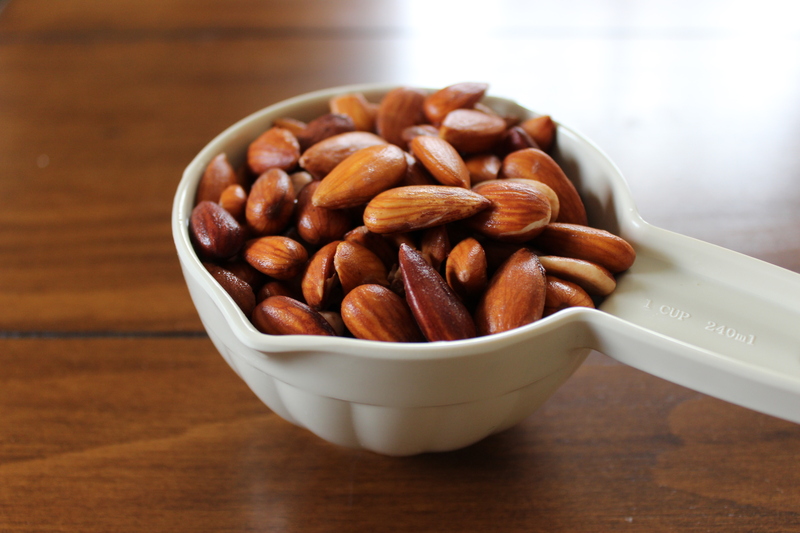 Soak almonds in a bowl for about 12 hours, or overnight. (Soaking nuts releases what are known as “enzyme inhibitors”, and allows for optimal digestion). Strain water. Add soaked almonds and water to blender and blend on high speed for 20 seconds.Wrap a nut milk bag, cheese cloth or kitchen towel over medium sized bowl and pour mixture through. Tighten bag and squeeze the milk out into jar, and that’s it! 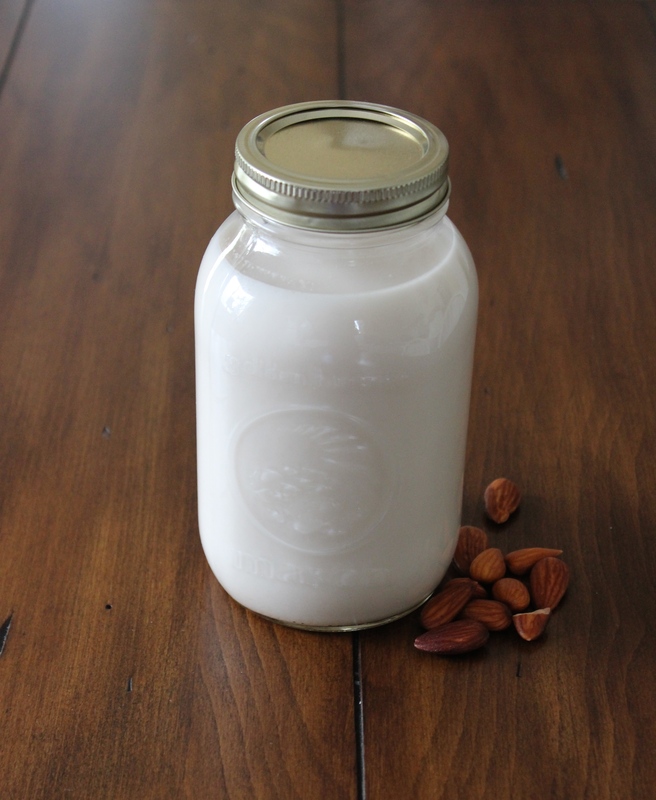 Have you ever made homemade almond milk? 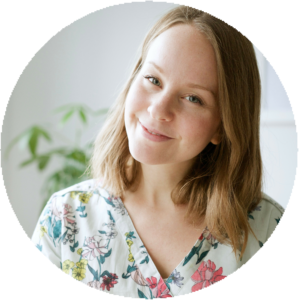 I’m a Holistic Nutritionist with a passion for simple living, digestive wellness, and all things healthy and natural. I’m here to inspire you to live your best life.